The Wirtshaus am Bavariapark beer garden is located at a former exhibition site in the centre of Munich, between the Verkehrsmuseum and the Bavariapark. 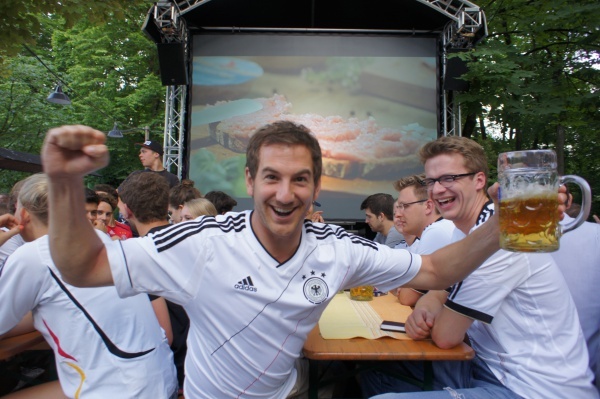 The beer garden is only a few steps away from the Theresienwiese, just behind the giant Bavaria monument. 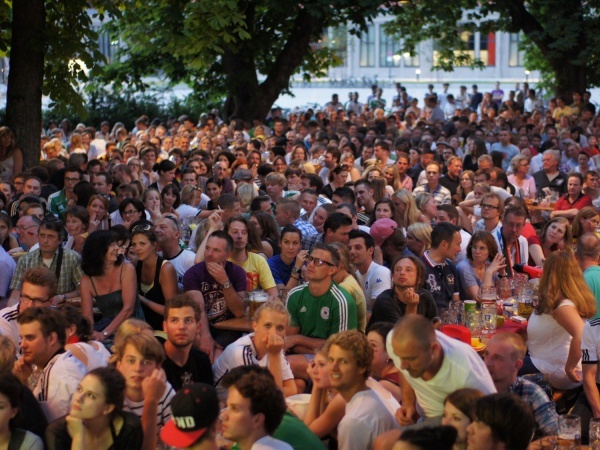 The beer garden originally opened in 2007 under the name Die Alte Messe, which was later changed to Kongress Garten. 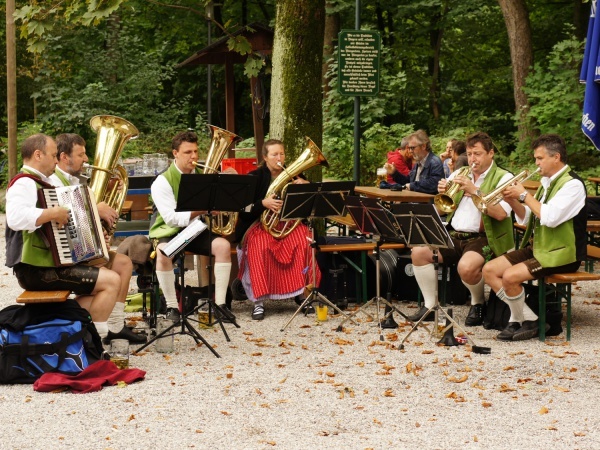 Following a leaseholder change in 2011, the beer garden is now known as Wirtshaus am Bavariapark. The listed main building, the former Kongresshalle, was built in 1953 and sold to the non-profit Edith-Haberland-Wagner-Stiftung in 2004. This charity foundation, named after the last heiress of the Wagner brewery dynasty, retains 51% of the shares of Augustiner, Munich's oldest brewery. Since 2011, the beer garden has a Maibaum. The self-serviced area has about 1,200 seats on traditional beer garden benches, shaded by chestnut trees. The serviced terrace has about 300 seats on regular tables. The British leaseholder and head chef Philip Sedgwick travelled the world and knows all about quality food. 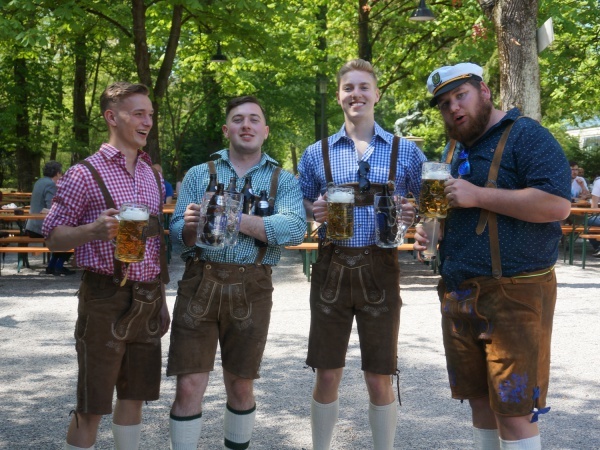 In addition to traditional beer garden meals, such as Obatzda, Wurstsalat (sliced sausage salad), Hendl (roasted chicken) and Schweinshaxn (roasted pork knuckle), he also offers a small selection of International meals. All meals are prepared fresh and there is no distinction between the self-serviced and serviced kitchen. Beyond that, a Fischer-Vroni stall offers Steckerlfisch (grilled fish on a stick). The beer served fresh from wooden barrels is Augustiner and a Maß Hell (lager) costs €7.20 (April 2018). The extensively renovated main building has two cosy restaurants with up to 90 seats and one ballroom for up to 300 guests, the ideal location for weddings, meetings and private parties. Depending on the weather, the beer garden is open from 11am until 11pm every day. This page was last modified on 18 May 2018, at 18:49.